The shipyard Brodosplit is located in the Split-dalmacija province, in the northern part of Split. More accurately it is located on the north bank of the Split peninsula in the Kaštelan bay. The shipyard produces military and civil vessels and is spread across an area of 560.000 meters squared. A construction of a dry dock is foreseen on the location of „Mali Mul“ (Small Pier) besides the existing slipway. The dry dock will be 200 m long, 45 m wide and 8 m deep. A construction of another dry dock is foreseen in a closed production hall for special objects (BSO). This dry dock will be 100 m long, 18 m wide and 7 m deep. The dry dock is dug into the ground and is separated from the sea by special watertight doors. For this type of dock, sea water is slowly let through the dock and at the moment the ship is afloat the barrage is opened and the ship sails off. In dry docks, it is not necessary to perform preparations for the launching of ships nor operations of docking which eliminates the danger of ship damage. The bottom part of dry docks has a small inclination toward the doors for easier runoff of water. There are more types of dry docks that have doors on both sides as well as docks with transversal and longitudinal doors within the dry pool. Currently no shipyard in Croatia has a dry dock but instead slipways are used. 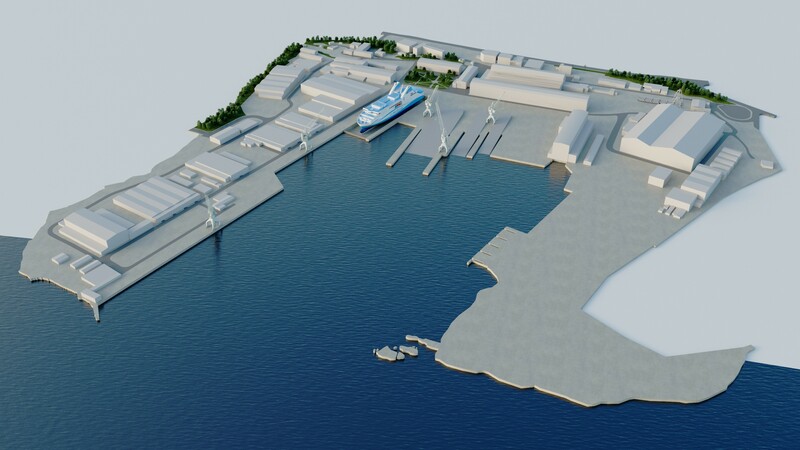 The realization of construction of a dry dock will enable a boost in technical-technological capacities and capabilities of the shipyard since shipbuilding is simpler and faster in dry conditions. For the need of construction of a dry dock on the location Brodosplit – Mali Mul and BSO we have conducted geotechnical and engineering-geological explorations and investigations. Two exploration boreholes have been executed on the location of Mali Mul in a total length of 27 m and two boreholes on the location of the BSO in a total length of 30 m.
Geotechnical and engineering-geological works included geotechnical prospection and engineering-geological mapping of location, examination and determination of borehole profiles and producement of geotechnical cross sections of terrain and geotechnical borehole logs. Within engineering-geological mapping of location a geological prospection of the wider area has been conducted. The prospection was conducted with an overview of morphology and active geomorphological processes. 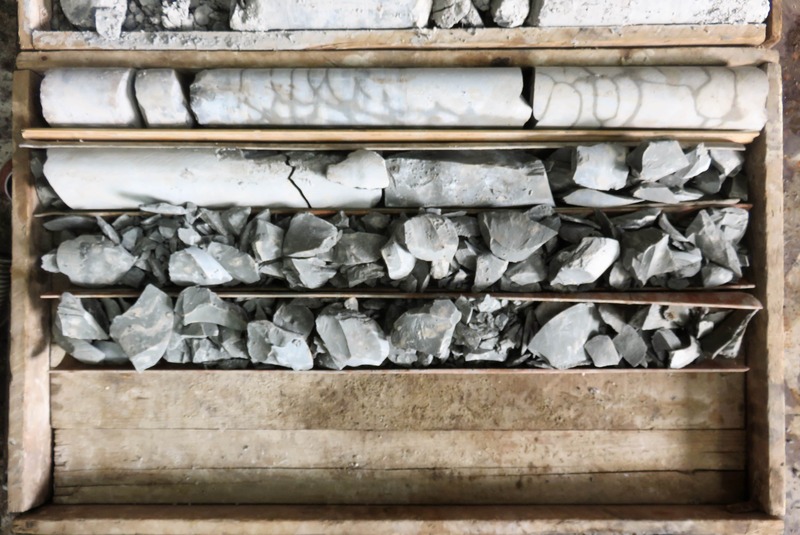 Parallel with mapping and borehole determination a geotechnical prospection was conducted for determination of geotechnical units with equivalent physical-mechanical properties. Based on geotechnical exploration works it was determined that the geotechnical profile on both locations is made out of four geotechnical units that represent made ground and highly weathered, medium to slightly weathered and fresh eocen clastits. 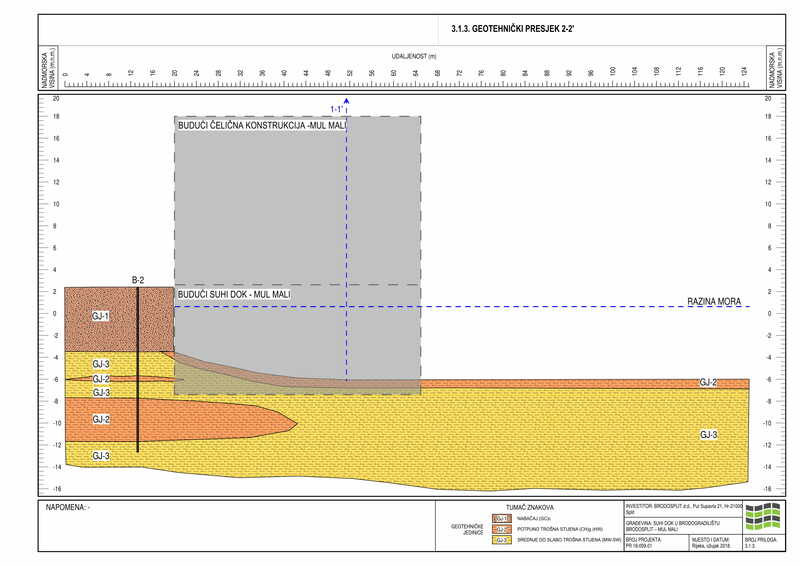 Before the beginning of construction works it will be necessary to produce an open pit protection design that will enable the ensurement of sides of the structure and the excavation. The open pit design will include calculations of mechanical resistance and stability with installed elements of protection. The open pit has to be executed in dry conditions. Also, through the project the foundation system of the future structure has to be determined and evaluated.